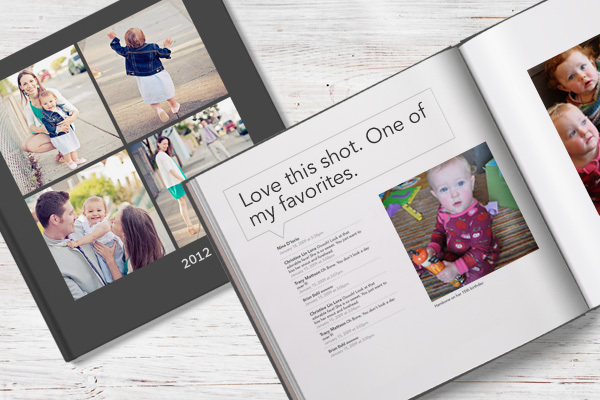 Babyologists, get your free $30 Facebook photo book from Blurb! Ever wished you had a book of all those photos you’ve loaded onto Facebook? Wouldn’t it be great to remember those lovely comments friends and family made on that super-cute snap of baby? No catches, no hassle – for a limited time Blurb is offering Babyologists the chance to make a free book from your Facebook photos and the process really couldn’t be easier. Click through to find out more and start making your free photo book valued at $30, courtesy of Blurb. Blurb, a place for making your own fabulous, top-quality personalised photo books, is giving each of you an 18x18cm softcover sixty page book of your Facebook photos absolutely free. We’ve partnered up to give you a chance to try Blurb out, no strings attached and with support if you’ve never tried making a photo book before. We assure you it’s really easy! There’s a small fee for shipping (from $10.99) and you have until 11am Thursday 26 July (EST) to make and order your Blurb photo book – luckily it only takes a few minutes to do. Simply click here to get through to the Blurb book maker and don’t forget to use the code to claim your free Facebook photo book (you’ll find it when you click).